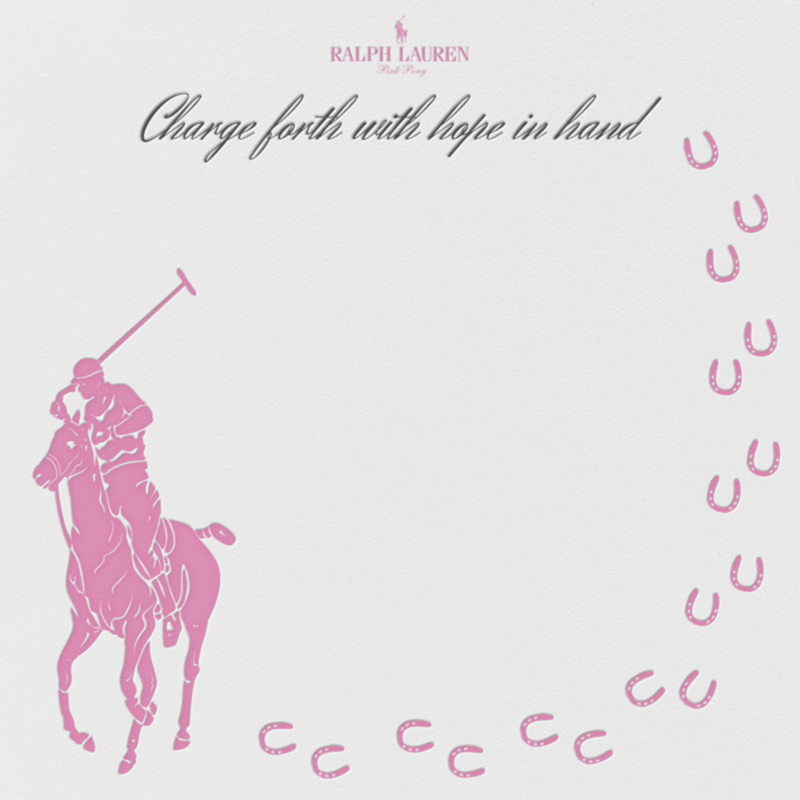 We are huge fans of Ralph Lauren and not just for their classic clothing for the modern man and woman but also for their support for Breast Cancer Awareness month. They recently teamed up with Paperless Post to create the first ever Pink Pony Hope Card Collection, a initiative to help fight cancer in medically underserved communities as well as to ensure that treatment is available at earlier, more curable stages. Through this exciting collaboration, Ralph Lauren and Paperless Post have partnered with four influential online personalities - Blair Eadie from Atlantic-Pacific, Dallas Shaw from Dilly Dallas, Heather Clawson from Habitually Chic and Katie Armour from The Neo-Traditionalist and Matchbook - who have designed chic and timeless cards featuring various shades of pink that you can send to your loved ones. Each card also includes a message to inspire hope to promote awareness to this cause.